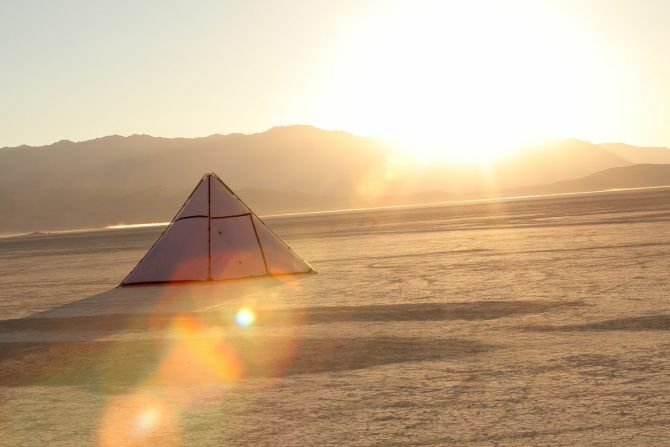 Perfect camping equipment for festivals, the Buffalo Tent has actually been tested at Burning Man in the Nevada Desert. Besides that, it has successfully withstood various weather conditions such as snow, rain, wind and heat. Made from anodized aluminum frame that comes with telescopic legs made out of unidirectional carbon fiber, the tent doesn’t need a center pole. 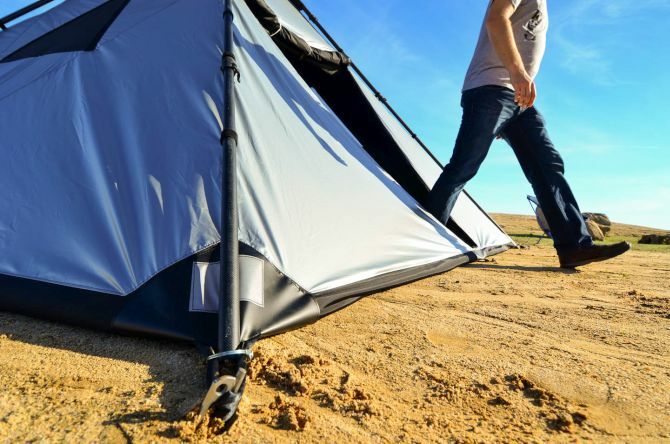 The Buffalo Tent is made from two different types of fabric: A super durable, 400 denier pack cloth is used for the floor to withstand rigorous use. On the other hand, the body of the shelter is made from lightweight nylon ripstop–a material that’s reinforced to prevent tearing. 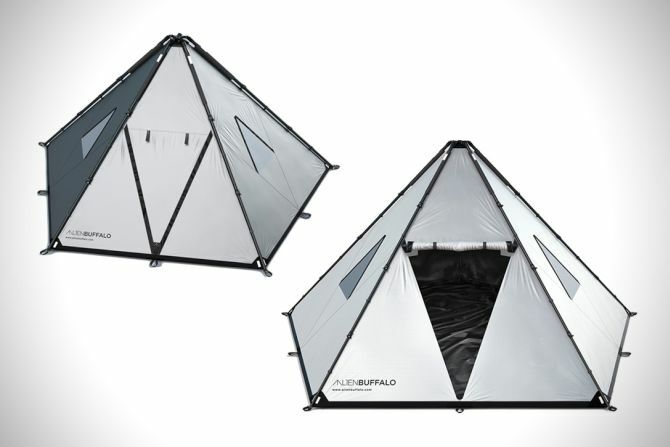 Alien Buffalo is offering the tent in two sizes: the standard Buffalo tent that offers 204 sq. feet of floor space with peak height of 9.3 feet along with Buffalo tent Mini which provides 124 sq. ft floor area with a peak height of 6 feet and 10 inches. Weighing 44 and 30 pounds respectively, the standard buffalo can accommodate 8 people comfortably while the Mini is ideal for 4 adults. As the fabric is already attached to the frame, the strike time is only a minute for two people and about two minutes for a single person. 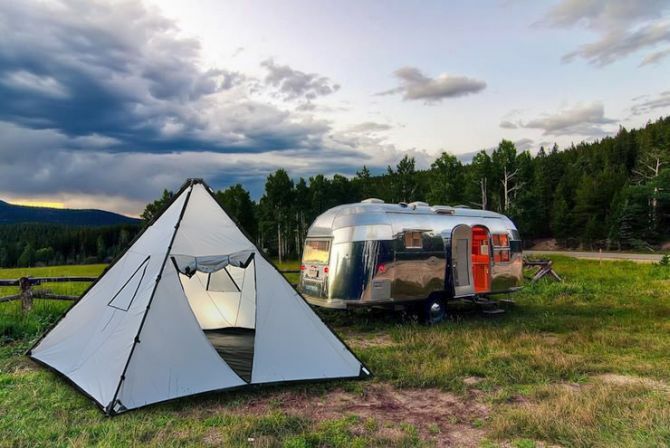 Available with various options, the Buffalo tent will set you back $1,499 and the Buffalo tent Mini around $875. Interested adventurers can find more information on company’s official website.